Last week InspiredMag wrote a post listing 10 WordPress themes for your blog with details along with links to live demos for each of them. I had several of these already listed in the create section as well as some that aren’t on there. I have since added these to the ever-growing list. One thing to keep in mind is that all but one of these are premium themes (read they’re not free) ranging from $25-70. Still they are definitely worth taking a look at if Lifestreaming is an important component of your WordPress blog and you’re looking for ways to enhance it. At the very least they could be used to provide inspiration (as the site’s title suggests) for your own personal design. 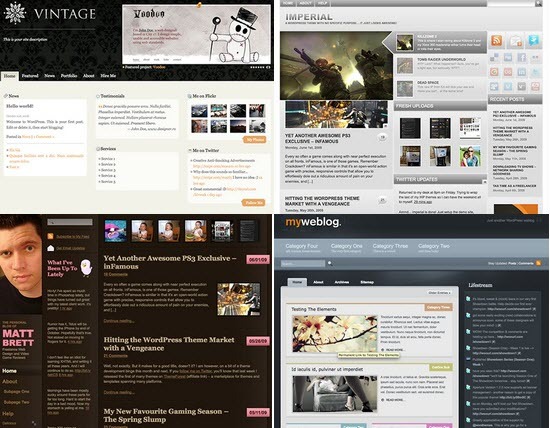 Props to InspiredMag for discovering and highlighting this batch of Lifestreaming WordPress themes. I’m very happy that Lifestreaming continues to get good exposure in the design community. Aaawww… Not free… Well, the design looks really neat so I think $25-70 is reasonable. Nice themes. How did you make it? Amazingly made.